With the blazing southern European sun baking us, this month we are pleased to say that we have had some red hot interviews for this monthâ&#x20AC;&#x2122;s Game Changers! 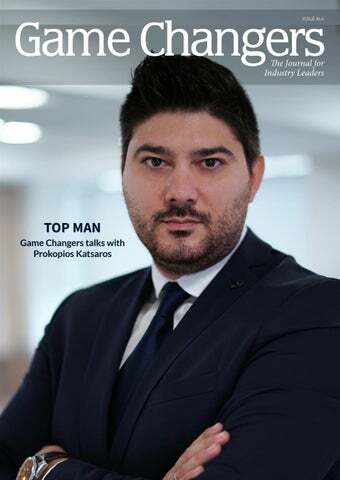 This editionâ&#x20AC;&#x2122;s cover star is Prokopios Katsaros who is the Head of Brokerage at the Liquidity Provider TopFX. In case you are not aware, TopFX was the brokerage where I learnt my apprenticeship of institutional FX trading many years back. It is a great pleasure to have not only a colleague (and also the man who answered my many odd questions.) but also a friend on the front cover. We are incredibly pleased to have a new entrant to GC, the Australian legal guru Joanne Michaelides who we were lucky enough to have spent a couple of hours from her busy schedule. In case you are not aware Joanne is one of the leading names, whose opinion is incredibly well respected and sought after within local commerce. I was lucky enough to share a refreshing cold drink on a warm evening with Xenia Neofytou, where we discussed the future of Cyprus and all things Block Chain. I hope this is the first of many times that we get to speak to Xenia. One of our old entrants Ludovic Vuillier has made a comeback to GC, to outline why a brokerage should be looking to outsource their lead generation program, whilst also adhering to the changing regulatory landscape. We were fortunate enough to spend some time with Oleg Seydak from Blackmoon Financial Group giving us time in his busy schedule to give us an insight into his working day. This month in Finance Feeds, I reflected upon how the England football team coach Gareth Southgate can help us improve our performance in the workplace. I began my Prime career at TopFX almost seven years ago when it was still a startup. Since then, we have come a long way and established a strong presence in the industry. I always believed that we could build a solid company that offers clients customised solutions in the most efficient and transparent manner. TopFX’s flourishing journey and our clients’ loyalt prove that we have succeeded in delivering the quality service we aimed for. Due to our company’s rapid growth, we have recently moved into a new office, and we currently employ over 40 staff members. Q Being the longest serving member of TopFX in an industry where people move around so much, what kept you there? If you move around too much, it’s probably because your work doesn’t offer you the fulfilment you are looking for. Therefore, you are seeking better working conditions, salary or growt h opportunities. I didn’t experience this kind of lack. From day one, I felt a sense of purpose, and I was motivated to make things work. My priority was to establish strong partnerships with our liquidity and other service providers so that we offer our clients competitive pricing, reliable execution and a wide range of instruments. My objective was and still is, to make TopFX a brokerage that deserves clients’ trust and serves them in the best way possible. new clients who are interested in copy and automated trading. cTrader is a cross-device platform and is available on web, desktop, iOS & Android. Apart from the retail trading platforms, brokers also get access to their own administration panel and hosting solution. The combination of innovative trading platforms and multi-asset liquidity across Forex, Indices, Energies, Metals and Cryptocurrencies, makes this an in-demand solution that many brokers prefer. Q In the eight years that TopFX has been open, the industry is radically changing with Cryptos. How do you ensure that your clients get the best combination of pricing and execution? At TopFX, we get our price feed only from reputable partners that offer industryleading prices and reliable execution without spikes or gaps. In addition, traders can benefit from our deep liquidity pool and place large orders without any consequences on the quality of execution. This is true not only for cryptocurrencies but also for every other asset class. Q Whatâ&#x20AC;&#x2122;s next for TopFX? Throughout my career at TopFX, I learnt that in order to succeed, we must exceed our clientsâ&#x20AC;&#x2122; expectations and offer them a solid foundation upon which they are going to build their success. To create a win-win, we must see ourselves as facilitators and enablers who help brokerages grow. To do so, we need to keep improving our offering by establishing new strong partnerships with key industry players. We have already integrated new service providers so that we support more instruments and improve the execution speed for clients who are based in different geographical regions. In the future, we plan to add new instruments and asset classes. We hope that our true transparency, wide selection of markets and top-notch trading conditions will be strong selling points that will convince the interested brokers to choose TopFX over other Prime Brokers. only a few of our advantages. Cost benefits, top quality of services and efficiency is what will set our island apart from the other locations on their list. Traditionally, the low tax rate was what drummed up international business, but things have changed. One thing has not changed though, the fact that Cyprus is a beautiful island and a very welcoming place to relocate. Q What is the government doing to differentiate Cyprus from other jurisdictions that also aim at becoming a global investment destination? Over the past three years, the government has been successful in implementing incentives to bring in more foreign business. The government realises the importance of attracting new investors and building the country up to become a leading international financial sector. What differentiates Cyprus from other countries competing for foreign investments, is the governmentâ&#x20AC;&#x2122;s initiative to improve the tax situation and offer Permanent Residency Permit and Citizenship. These structural moves have brought foreign companies and investors to the island. Just look at the number of multinational companies and international banking units that conduct business here. Companies like these also chose Cyprus over other investment destinations due to its strong legal structure. Our financial sector is virtually impenetrable to money laundry and terrorist financing activities. This is due to a number of mechanisms that the government has put in place. The government has done a lot to attract foreign investors but in order for Cyprus to continue to grow as an investment hub and for growth to be sustained, the government must become more client oriented. It can achieve this by doing away with unnecessary bureaucracy, investing in technology and becoming more efficient. number of specialists, be it a dentist to a heart surgeon, but this means having a number of records allocated in different locations, or with different levels of access. Blockchain offers the potential of consolidating those records under one ledger, making them readily available for your doctor. This speeds up the diagnostic process exponentially and eliminates miscommunication errors, improving healthcare management overall. Of course, a complex system such as this requires several years of planning, designing and testing. A simpler application is the digitization of consumer products, tracking the origin and history of transactions, ensuring their quality. Q Was it hard to step away from working for someone to start CX Financia? The idea of starting something of my own never crossed my mind when I set off on my career path more than two decades ago. Over time however, I realised my entrepreneurial spirit was looking for the right opportunity to take flight. It was in 2015 that I decided to change course, and set off to pursue something of my own. Joining forces with a group of professional associates, financial and business experts in their own right, we began offering an exclusive mix of services to clientele in Cyprus and abroad. Today, we are renowned for our accomplishments within the industry. These include the design of pioneering fund structures, the structuring and procurement of investment licenses, the provision of innovative financial consultancy services to diverse Boards of companies, and the delivery of sought-after seminars and trainings of teams on matters such a Governance, AML/CFT, and Compliance and Risk Management. Q As a start-up entrepreneur, what tips would you give for someone who is looking to open up their own company? Although rewarding, running your own business is very challenging. These challenges should be considered before beginning the process of starting your own company. How you manage your time will change completely. You wonâ&#x20AC;&#x2122;t work normal working hours as your business will take up most of your time. It is very important to find the balance between business and your personal life. Even though you put in the time, instant profit is not guaranteed. It could take up to six months for any kind of profit to start running in, so make sure you have enough capital to support the business and your personal expenses at the beginning. If you do not have the capital saved up, have an alternative source of income. Clientele will not be waiting for you to set-up shop. You will have to work hard at finding clients, obtaining them and make them come back for more. This process is not a quick and easy one. You will have to network at events and promote your business continuously for things to fall in place. Now onto the positive. Having your own business means the way in which it operates is up to you. I can wake up early to work or work late at night so that I can still enjoy a healthy social and private life. The culture of your company comes from you. You can take the experiences you have had in other work environments, and implement the good ones into your company, and leave out the bad. Just make sure that the work gets done on time. Remember, you are the boss so you have the luxury of getting things done quickly and efficiently. You no longer have to wait for management to make decisions or for people above you to deal with matters which may seem trivial to them, but very important to you. You can act, without asking for permission. Blackmoon Financial Group OLEG SEYDAK Founder and CEO of Blackmoon Oleg Seydak Founder and CEO of Blackmoon Financial Group. Q With the SPDR S&P 500 ETF token, it tracks the S&P 500. Why should I not invest directly into that? Is it a leveraged in anyway? For now, these products are not leveraged in any way. Although we are technically able to do this, we are trying to be conservative about the offerings while we rollout our overall product suite. For those investors that are able to open a traditional brokerage account, I would agree, at first glance, that the value-proposition of tokenized listed ETFs is minimal. However, you must also consider the tremendous amount of capital behind other country currency controls that are immediately released due to the borderless nature of cryptocurrencies. For those crypto investors, who have stored their value and trust in DLT, a tokenized ETFs offers a safety ramp towards removing volatility from their portfolio. Further, these products act as a fiat Bridge to the crypto universe and vise versa, in that they are fungible products on Blackmoon. Q You also have a number of other interesting products coming out in the very near future. One that caught my eye was the Algo trading of Cryptos. Without giving away all of your secrets, can we be confident knowing that these are traded on a liquid exchange where there is sufficient market depth? mature reasoning towards a cryptobased investment. The initial responses we are getting so far are way above my expectations, and I’m excited to share all the hard work we’ve put into it. Initially we are going slow with what we have planned, but I expect this product line to increase dramatically on Blackmoon in the coming months. To be quite honest, there aren’t any secrets here. When we release the Crypto Index products, they will be fully transparent - in their strategy, mandates, positions, as well as the list of exchanges we will be using. Q How do you vet the assets on the platform? What quality controls do you? Aside from the required compliance checks, the due-diligence factor is not unlike that of a VC Fund Manager considering his next investment. 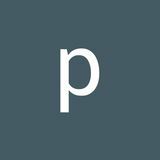 We meet with management, and run our own financial analytics and modeling on the underlying fund, as well as run some beta-testing and market research to determine the fund’s marketability and demand. Not all funds are easily tokenize-able. The redemption liquidity of the fund, and their fund-administrative capacity and auditability plays a large part in our internal decision making process. Q Do you believe there should be some form of regulation with regards to analysis of the product being loaded onto your platform? Yes. Of course. The entire financial landscape is built around the regulatory environment that has existed for the past century, and that’s not about to change anytime soon - nor should it change. It’s no secret that regulators are being challenged to find a solution dealing with the new borderless crypto environment. In fact, we are working directly with regulators in some jurisdictions to configure for a tokenized solution that fits their existing regulatory model. With that in mind Blackmoon is structured as a traditional financial company, albeit with a cooler and more flexible technology stack using blockchain and smart contracts. Q Who is your target market to use your platform institutional investment companies or can the individual use this to select certain investments? The advent of decentralization and subsequent tokenization is flattening the bell-curve of investments overall, where capital is flowing more freely into the Long-Tail. Individuals are now able to access markets and risk that was previously an insider’s game. However, until the challenges of the current regulatory landscape and credit-based custodianship issues are solved for, I expect that the traditional institutions will wait on the sidelines until the market further matures and is able to meet their exacting investment mandates and standards. Blackmoon is leading the way forward, but it will still take some time before the status-quo adjusts. Q Can you classify the risk for the end user of a certain investment product on the platform; Such as is there sufficient market depth with the crypto algo? Yes! Absolutely. In fact all our investable Crypto Indexes take this very notion into its pricing methodology. Both, the strategy-mandate is filtered for liquidity, and our proprietary execution-algos dynamically adjust to the overall market and associated availabilities. Going forward, when we release our secondary marketplace and trading platform, our tokens’ liquidity and availability will be more easily defined and transparent. Paul Orford Editor of Game Changers Magazine. way. [In mental rehearsal,] you prime your brain to play it how you would like to be. You might want to be confident, speak clearly. It’s not just positive thinking.’ As we operate in a highly stressful and competitive environment, a practice such as using mental cues can be a keen weapon in your arsenal. Kate Hays, the head of psychology at the English Institute of Sport, says ‘People will have cue words that will bring them back into focus on the task at hand. It’s just one or two words that can get people to focus on the right thing.’ England’s team psychologist Pippa Grange stated in a recent interview with the Guardian newspaper that there are five areas to increase the chances of your success when it comes down to operating under pressure. • Don’t fear failure: ‘part of what it takes to be courageous is overcoming the constant battle between the desire for what we want and the fear of failure. Most of us don’t expose ourselves because we are fearful.’ • Reframing emotions: you’re not ‘nervous’, you’re ‘excited’. A penalty shootout or a big presentation is not something to dread, it’s an ‘opportunity’. • Positive thinking is unhelpful if you’re simply fantasising about achieving an Oscar/the World Cup/a fuller social life. Instead, focus (positively) on the steps that could get you to your goal. • Treat your employees/customers as individuals rather than as a homogenous group: different approaches will work for different people. • Kindness, listening and empathy will take you further than barking orders: use praise to motivate people. It’s said that there are two jobs that are impossible to leave as a success: English football team manager and British Prime Minister. Can Gareth Southgate save not only the country from imploding by becoming Prime Minister, but also set us on the way to a more positive-thinking civilisation with his teachings and change the universe as we know it? I don’t know – let’s start with the next World Cup, maybe. Q What is Universal Crypto? investors, Fintech companies, family offices, crypto-exchanges and crypto related fiduciary and corporate services worldwide, in order to offer advice and services in all parts of the process. Q What can we expect from Universal Crypto in the future? We recently became members of the Cyprus Blockchain Technologies (cybt.eu), a non-profit organisation aimed to conduct edge-cutting research in the field of Blockchain and Distributed Applications. CyBT also organises transfer-of-knowledge sessions, roundtable discussions and executive education seminars on Blockchain technologies by bringing prominent academics and professionals from leading organisations from around the world. We are always open to meet, discuss, and create synergies so that our voice can be heard louder. The fact that this particular cause makes us feel good is even more empowering and motivating to achieving better results as an organisation and for our clients. Lastly, we have another initiative started by Bogdan in 2017, with the goal of creating an active community in Limassol, to discuss thoughts and opinions on the developments within the blockchain industry: The Bitcoin Club Limassol. This community has been expanding ever since, ready to expand to other cities, such as Nicosia, Larnaca and Paphos. Therefore, we welcome any invitations for discussions and synergies with similar groups in Cyprus. We are genuinely inspired to improve people’s lives in Cyprus through education in new emerging technologies and the “Internet 3.0”. There’s enormous value in the liberal, anarchist, cypherpunk, and crypto-economist communities. We are ready to start impulsing future blockchain and Fintech events locally and internationally, in order to connect these people. We have many exciting things under developments, so stay tuned and follow us on Bitcointalk, Facebook, Twitter, and LinkedIn! Left to right: Bogdan Maslesa. Patrick Makedonas. Constantinos Antoniou. Andreas Nikolaou. Carlos Maximiliano. day I was at the reception waiting and reassuring myself that I have nothing to lose, after all Australia was around the corner! This was the first interview that I had felt so relaxed and confident and it resulted in an offer being made on the spot and to start the following Monday! My journey had finally begun. Q What are you doing now? I am still at the same company 4.5 years later learning and growing every day, I am now head of the legal department and handle all legal matters for the group of companies. My biggest lesson is there is no limit to how far you can go, if you know what you want keep going for it and it will find its way to you. I am so grateful and proud to be a part of such a great company which continues to grow and provides individuals of all levels with great opportunities. Apart from my career, I love to travel! Q What would you tell someone who is looking to start law? I think a lot of people see law as a good & rewarding career option, which it is but as with anything, success will only come if you are truly passionate and enjoy learning about it. Law is very dynamic with many options to choose from however it is also a never-ending lesson to be taught and learnt; laws are constantly changing and being updated so a strong interest is a must to be able to keep up with all the new and updated laws. If one has the genuine interest and has the drive to achieve their goal in becoming a barrister, lawyer or anything else for that matter, then no matter the amount of reading, the all night studying and the parties you miss, nothing will stop you getting to where you want to be.